Turn heads in this eye-catching, bold beaded design. 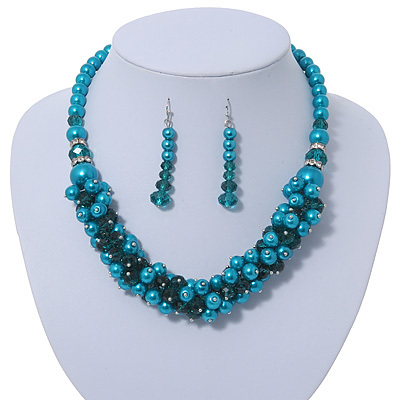 The necklace features a chunky cluster design, made of smooth faux pearl and faceted glass crystal beads in hues of teal. The necklace is about 38cm in length and fastens with an adjustable lobster claw clasp for a reliable fit (about 6cm extender).